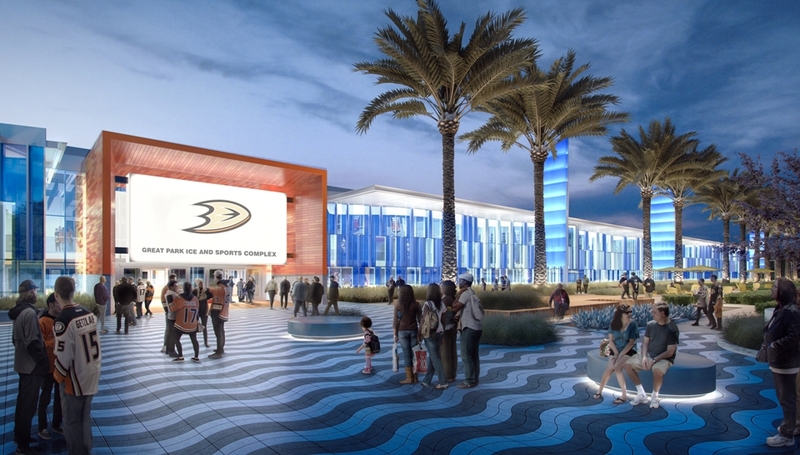 An affiliate of the Anaheim Ducks constructed one of the nation’s largest public ice facilities at the Orange County Great Park, which opened in early January 2019. In February 2016, the Irvine City Council approved a public-private partnership with the Irvine Ice Foundation. The $100 million facility, to be operated and maintained by the foundation but to include public ice time, is being built on 13.5 acres near the Palm Court. 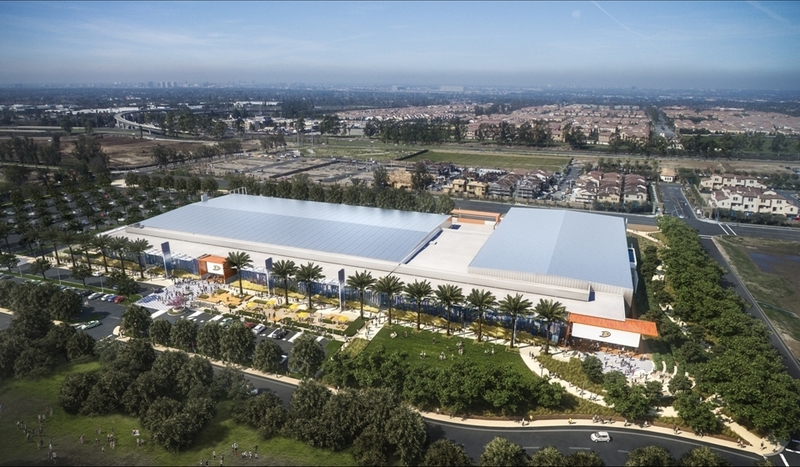 The 270,000-square-foot facility will have four sheets of ice and serve sports-related activities that include youth and adult hockey programs, regional and national tournaments, figure skating, and public open skating hours. The Ducks will practice there on occasion. The primary rink will have seating for 2,500. The complex also will include administrative offices, dressing rooms, training facilities, retail space, and concession space.